Most of Pooch's tastings/seminars can be done with or without wine, for groups from 20 to 500. All seminars include a complete outline for note taking and/or review. Sample tastes on selected wine are offered based on the time allowed for presentation. Price varies, depending on length of class. attended. Pooch is dynamic and entertaining whilst still being educating. 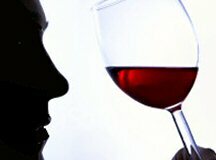 own abilities to taste and enjoy wine. Note: This presentation can be done with or without wine. Is it Lemon or Buttered Popcorn? Jelly Bellies are so concentrated in flavors that they can be used to assist people in how to determine flavors in wine. These smelling kits are designed to assist participants in recognizing the smells found in wine without using visual aids. 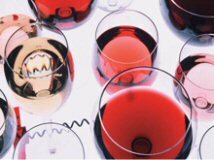 a bottle to improve its quality; Shining your shoes with wine may give you a better shine; and other crazy little known facts about wine! How to look at a bottle of wine and with 80% accuracy determine what it will taste like without reading the label or tasting the wine. Length of presentation: 30 or 60 minutes. This delicious and decadent presentation is for those who want something truly unique and fun. Great for parties with girlfriends or anyone who loves confectionary delights and wine! This is a hands-on demonstration of food and wine “marriages.” Can be done in your own home or at your favorite restaurant.